ai?? 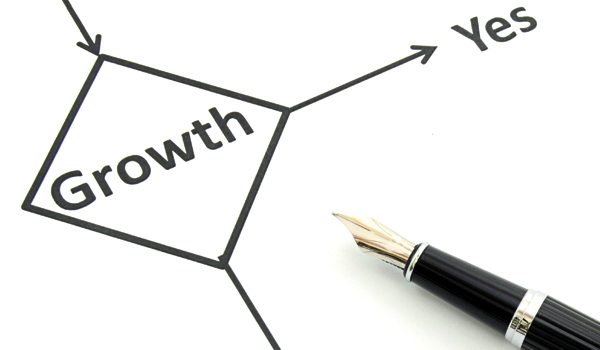 ?Opportunities multiply as they are seizedai??? – Sun Tzu, The Art of War. This is my favourite quote, because we often get so caught up in our never-ending to-do list that we stress ourselves with each new item. I used to feel the same way, always needing an empty and tidy Gmail inbox and a sense of peace. But as you get older, youai??i? ?ll learn about yourself and the concept of time, which seems infinite in your youth and ever more precious as you get older. So that being said, Iai??i? ?d like to teach you about the word NO. When youai??i? ?re younger, you have the energy and freedom to really do anything. Many people stress out about exams, or girls, or family, but letai??i? ?s be honest. No matter how busy you are, youai??i? ?ve had time for happy hour, Facebook stalking and loads of Netflix and web surfing. On that same note, embrace everything that comes your way. Family member annoying you for help with a website? Do it. Your cousins want you in some annoying wedding dance? Do it. Life is really strange in the sense in that it doesnai??i? ?t distinguish one opportunity from another. When I started doing stand-up comedy in India, I was so new to the world of doing it as a profession. Early on, I was performing for a tiny bar in Bengaluru, with literally three people in the audience. Dignity aside, I marched through the show happy as at least I had finished it. A few weeks later, one of those three guys in the audience called me saying he worked for Canon Printers and they wanted to hire me for a show. If this were a Hollywood movie, I would tell you that I rocked the show and the rest of my career story is history. But unfortunately that show was for 100 people who only spoke Tamil, and I bombed hard.But it taught me the importance of ai?? ?one thing leads to anotherai??? and kept pushing me to take on as much as I could, since I would only be 25 or 26 once in my life. On that same note, as a young person, itai??i? ?s okay to waste your time. But waste it sensibly. 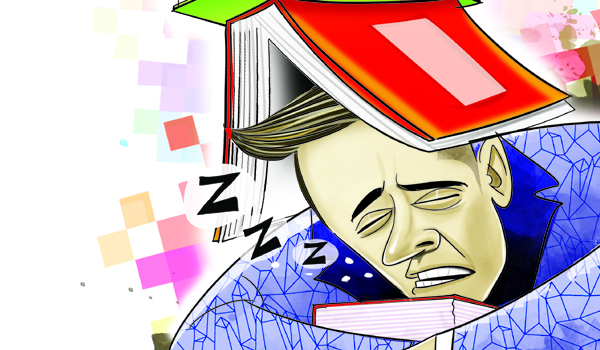 Facebook stalking might be wasting. Building an app for android that will go nowhere and fail, however, might be wasting it properly. So, cast a wide net and see what fish you catch! My general rule is never to blindly say no out of laziness or anger. But say no when you know that even in the best cases, this isnai??i? ?t something for you. If youai??i? ?re 10 shots of vodka down and somebody is saying go for 11, your body understands this is a lose-lose situation. If another company is offering you a 50 per cent hike to leave your company, but you have a deep feeling in your heart that your current boss is amazing or youai??i? ?re confident in the startup, then say no. Many years ago, I was asked to join an agency to be managed as a comedian, and as much as I wanted to, part of me simply felt ai???Iai??i? ?m doing fine on my own. I mulled over the choice for months, thinking I had made a mistake. Fast forward a few months, and Comedy Central India had approached me saying they wanted someone without a management agency to head their next national tour with Hollywood Star Russell Brand! Sometimes, saying No is a good thing. Good luck! So will you try saying No now? How did President Barack Obama survive his eight years in White House? We would not have to speculate, for he answered it himself ai??i?? books. Facebook founder and CEO Mark Zuckerberg took a challenge in 2015 to spend the year reading a book each week and sharing it. Americaai??i? ?s most influential TV host, Oprah Winfrey, has a book club, a segment of her widely-reaching show which highlights books chosen by her, which gives the country a whole reading list to pick from. While Indian celebs from all walks ai??i?? right from business leaders and CEOs who run marathons, film stars who throw parties, cricketers participating in fashion shows and endorse other sports, politicians who join in to raise funds for social causes ai??i?? have adopted the visible big heart to fit into their profile portfolio, not one of them endorses books. Have you noticed that? Not even those who believe their lives warrant a memoir. It is one thing to write a book, have it published, promote it and land at a promotion event or a literary festival; but another to actually publicly set a context of reading, and discussion of books. Most journalists take pleasure in asking celebs about their bucket list, their wedding plans (if the celeb is single) or about when they plan to start a family (if the celeb is married). Seriously, how many of them actually ask them, ai?? ?So what is the book you are reading currently?ai??i?? Perhaps such questions are asked for the occasional book or literary page (just before a literary fest happens) ai??i?? as a filler ai??i?? but certainly not the way we would like them to. 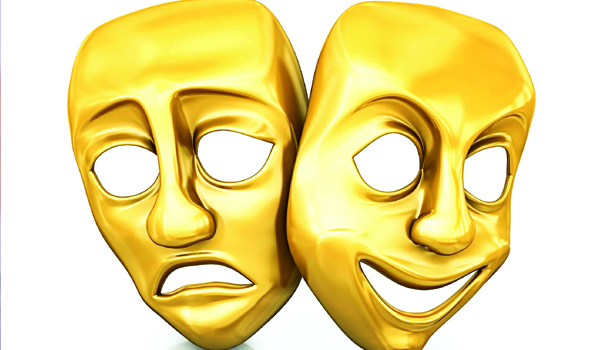 Surprisingly, even CEOs, politicians, film stars or sportsmen seldom reveal that publicly. Will that amount to them sharing their lifeai??i? ?s secrets? The causal reading sections of papers which take great pains to tell us about the diet, wardrobe, set of wheels and holidays of celebs donai??i? ?t even list their reading. Imagine the concocted lists of ai?? ?my favourite writersai??i?? that sometimes these celebs are pushed to respond to; Now imagine if all celebs did it and we were actually transformed into a nation that reads more. Imagine if politicians asked journalists for suggestions on what to read ai??i?? and in turn, sent their annual gifts comprising books. Nah, donai??i? ?t read too much into this. It is not likely to happen. Wishful thinking, at the most. TAILPIECE: One of my editors once told me this, ai?? ?There is not much difference between people who cannot read and do not read.ai??? Guess it shows, celebs or nations. The new brunch at Trident Hyderabad focuses on fine dining with the family Ai?? While long lazy Sunday brunches are common, Saturday options are meager in the city. In a bid to get your weekend started on the right note, Trident Hyderabad has introduced Saturday brunches, offering different themes every week at Amara, their signature restaurant. Chef Manik Magotra elaborates, ai?? ?The theme varies every week. It can be about superheroes or maybe just the office canteen. This is totally a brunch to have with family, kids and friends.ai??? We walked into their ai?? ?Back to Schoolai??i?? Saturday ai??i?? that was complemented with a buffet spread which was in sync with the theme. 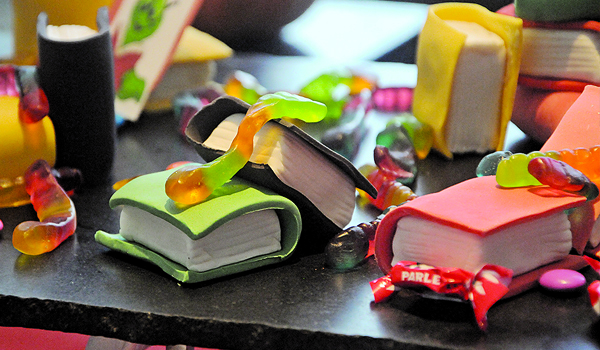 On the counters were varieties of glazed pastries, chocolate coins, strawberry pin-wheels, jujubes, and marshmallows. There were also spring rolls,Ai? ?dahi kachoris, momos, samosas, french fries, and more. However, the stuffing in Kolkataai??i? ?s famous Nizam Kebab Kathi roll could have been drier. The live counters included one for Maggi noodles ai??i?? cooked in different styles like Andhra Maggi, Himachal Maggi served with a dash of chopped coriander. To sip along with all the eats they have some bubbly rose wine too. The mains feature the likes of Dilli Ki Galiyon Wali Nalli Nihari and Nani Ma Ka Special Chicken. The use of spices and oil was balanced as were the complex flavours. The separate counter forAi??chatapataAi? ?food offers a tangy-spicy mix of sliced guavas, cucumbers andAi??berAi?? (Indian plums). Also expect to be entertained occasionally by magicians who were going from table to table with interesting tricks up their sleeves. Hyderabad is one of the nationai??i? ?s biggest start-up hubs, so it is only natural that a bar comes up where the decor and drinks are woven around the concept of a start-up gone bust.Ai??ai?? ?When you go bust open a bar, techies never quit,ai??i?? reads the caption atop the bar area at Hyderabadai??i? ?s latest watering hole Sly Tech. Thatai??i? ?s a fitting salute to the spirit of three engineering pals whose start-up went bust, but instead of giving up they turned their failed office space into a bar instead. 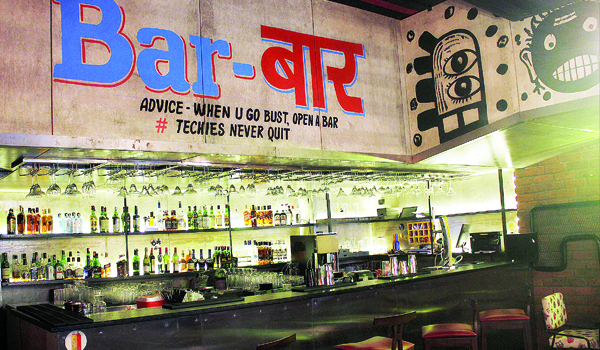 Delhi-based co-founders, Rahul Khanna and Kabir Suri from Azure Hospitality lapped up this concept for the bar as they found out about the formerai??i? ?s story. Khanna says, ai?? ?We chanced upon the story of three engineers whose business went bust as they ran out of funds. However, they decided to convert the office space into a bar so we used that as a concept to remodel that space.ai??? The place opened a few weeks ago and has been a hangout for the techies in Kondapur, the cityai??i? ?s IT hub. The bar is about Ai? ?3,600 square feet, but makes effective use of the available space. It boasts of a quirky theme with furniture in colours that pop like neon green and red, replete with funky graffiti on the wall, posters of people watching 3D movies and post-its. The decor is reminiscent of a tech officeai??i? ?s recreational area. A table tennis board, a section with comic books, ranging from Archie Comics, Asterix series, games such as Monopoly and Jenga could make your wait for the food and drinks worthwhile. Balamurugan, the bar manager, says, ai?? ?The set-up reimagines the office reception area, bossai??i?? cabin and chambers of developers, with work logs and charts to suit the theme.ai??? From the ai?? ?pre-game sectionai??i?? in the menu, Traineeai??i? ?s Kolkata Jhaal Moori made of puffed rice snacks with onion, tomato, green chillies and lemon wedges, make for an ideal snack before you start sipping on the cocktails. 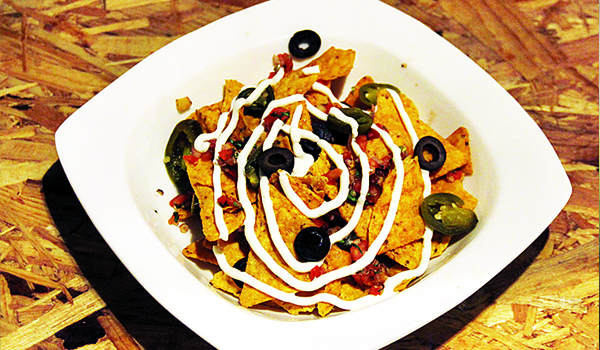 From the starters, we tried the Potato Locked and Loaded, a cheesy dish of potato skins, jalapeno and sour cream garnished with chilli, mayo and potato wafers. This is strictly for cheese lovers, as the rest might find it overpowering. What came next to the table was Biryani Balls, chicken biryani made into balls and deep fried garnished with onion rings and served with tangy tamarind and mint chutney. The menu also offers a wide range of short eats like sliders and pavs to try. From their ai?? ?tech specialai??i?? cocktails, we tried the Lychee Rose Martini. The pale pink drink with a heavy dose of dry ice, vodka, a dash of lime and a drop of rose syrup is for those who like their alcoholic beverages sweet. Coffee lovers can try the Last Espresso with a shot of coffee shaken and chilled with vodka and kahlua. The name of some of the drinks in the ai?? ?Rewind to classics sectionai??i?? is a nod to pop culture icons, known for their love of signature drinks. The drink, Hello Carrie Bradshaw, a cosmopolitan with orange wedges, cranberry juice, vodka and lime lifts the spirits. Whereas, Dirty Dustbin with vodka, tequila, white rum, and gin topped with a dash of cranberry juice and orange juice is strictly for the brave hearts. City fashionistas can look forward to an exquisite showcase of ready-to-wear and couture as Delhi based-brand, Mint Blush, brings its latest designs to Banjara Hills-based multi-designer store, Almari and online at Perniaai??i? ?s Pop-Up Shop. Comprising well-cut outfits for women in lush fall/winter colours, the new collection, ai?? ?The Dance of The Mirageai??i? ?, ai?? ?celebrates the journey of women and their various moods,ai??? says co-owner of the label, Delhi-based Sahil Gulati, who started the brand in 2014 along with his friends Aamir Rajput and Shazmeen Khan. All former graduate from Amity University , Noida, this trio discovered they have similar design sensibilities and hence collaborated. With A-lister names that fill their client list like Vidya Balan, Varun Dhawan, Riteish Deshmukh, Ayushmann Khurrana, Regina Cassandra, Karishma Tanna, Mughda Godse and divas down south like Nayanthara and Hansika Motwani to name a few ai??i?? this label has already got a strong following in the country. Talking about their new ai???festiveai??i?? collection, Gulati says, ai?? ?The Dance of the Mirage includes prA?t and couture in jewel tones with metallics, burnt orange, blue and green being the predominant colours. These hues go with the mood of fall/winter,ai??? he says adding that fabrics used are mostly silk variations like chanderi cotton, raw and matka silk. Expect an eclectic range of modern and traditional silhouettes ai??i?? from gowns paired with jackets to kurtis, skirts, and pantsuits as well. Apart from this, an experimental range for men is also in the offing. Fashion-forward men can hope to find classy ensembles like drape kurtas, dhoti pants and double-breasted jackets that are experimental without being over the top. For most of us, folklore means the stories of a community, passed through the generations by word of mouth. 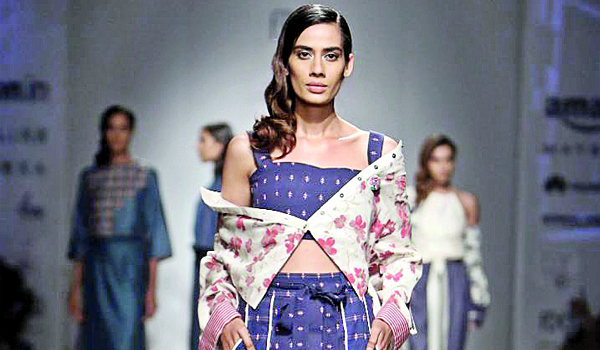 But for Nagpur-based designer Shruti Sancheti, it is about drama, dance, music, poetry, even fauna and flora. Inspired by European folklore, she launched her new collection titled Folk Flaire on carmaonlineshop.com launched recently. Right now, she is busy taking part in Whoai??i? ?s Next, the renowned fashion trade show in Europe organised twice a year in January (20-23) and September at the Porte de Versailles in Paris. Says the 41-year-old designer who retails in stores such as Kashish (in Hyderabad), Aza, Amara and Atosha across Mumbai and other cities under the brand name ai?? ?Pinnacle by Shruti Sancheti, ai?? ?My new collection is global at heart, yet Indian in soul.ai??? 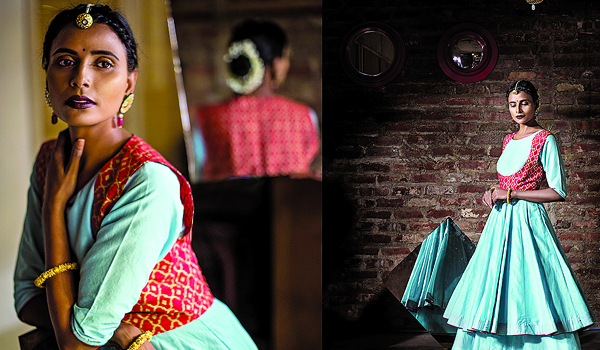 Interestingly, her designs are worn and appreciated by her peers Ritu Kumar and Shaina NC. 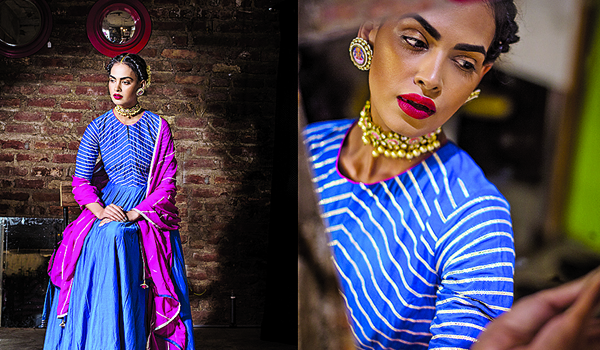 With prominent public figures such as actors Prachi Desai and Zareen Khan and Union Minister Smriti Irani and politician Nitin Gadkari also endorsing her designs, Sancheti has come a long way since her debut titled ai?? ?Sufiana from Pinnacleai??i?? in 2012 at the LakmAi?? Fashion Week. 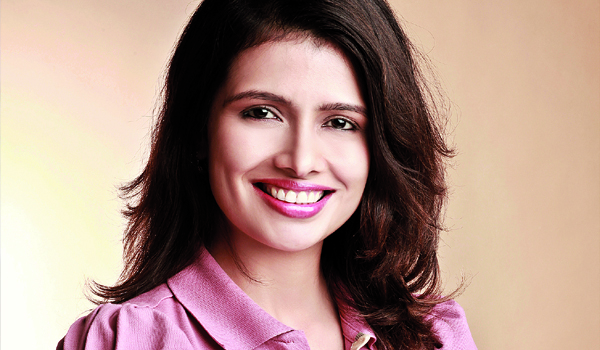 On what inspires her, the senior faculty of International Institute of Fashion Design, Nagpur, says, ai?? ?Anything old world and timeless gets me thinking. I love recreating this restrained elegance in my contemporary designs.ai??? For her Spring Summer 2017 collection, she deftly blends handwoven denim, khadi silk, cotton, mulberry silk and Chanderi with a European sensibility. She specialises in using base fabrics teamed with suede and mesh, crafted into maxis, midis, pleated skirts, off-shoulder blouses and dresses, wide-leg pants, asymmetrical reversible jackets and bombers ai??i?? all embellished with petit point embroidery, appliquAi? ?, cut work and bead-work. A dainty and refined colour palette consisting of soft hues is what Sancheti is known for. Her kind of colours? Not your mundane reds, blues and greens, but marshmallow, apricot, ecru, muted indigo, chartreuse, canary yellow and poppy red. This MBA graduate has also showcased at the Indian Textile Day at LakmAi?? Fashion Week 2015 and also at the Wills India Fashion Week 2014, besides at Hong Kong Fashion Week. Says the alumnus from JD institute of Fashion Technology, ai?? ?I have always believed in the unsurpassed legacy of Indian textiles and craftsmanship. Collection after collection, I have worked with the rich heritage of Indian weaves and embroidery to make Indian craftsmanship a global phenomenon.ai??? Last week began with Sankranti festivities. 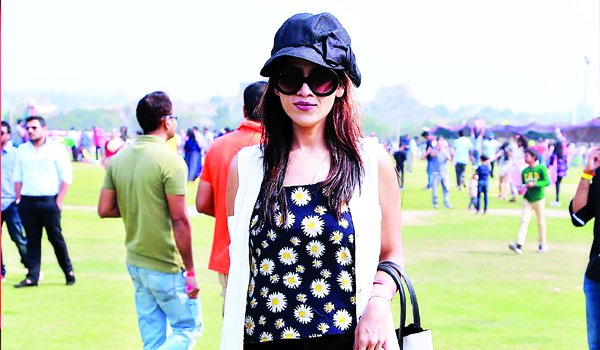 Kites of various colours, styles and forms drew hundreds of enthusiasts to the outdoors as they gathered at the annual festival organised by the Golf Course Club at the Golkonda Fort. Popular Telugu actor Sumanth, fashionista Shilpa Reddy, Rummy Azad, Manjula Narsa, Sonal Doshi and others from the social circle were present at the event. This week, the United States Womenai??i? ?s Polo team, which was on their India tour as part of the five-city international circuit in the country, made a brief stopover here. Raunaq Yar Khan played a perfect host when they landed in the city. Khan, a descendant of the sixth Nizam, had introduced the sport in the country and therefore playing host to the lovely ladies seemed to come naturally to him. A private cocktail and dinner party at his residence in Jubilee Hills was a perfect time for the team to unwind after an engaging match earlier in the day. Janaki Rajagopal, Ananya Simlai, Furhung Singh attended the do. 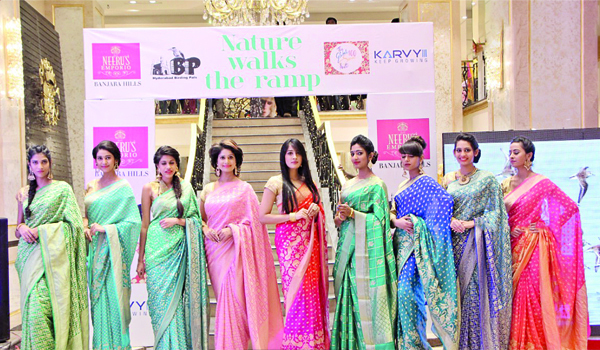 The sari occupied centre stage this week at the fashion show at Neerus Emporio. Hyderabad Birding Pals along with finance corporate firm Karvy and the Global 100 Sarees Pact Group members from the city collaborated for the event. The theme was Save Wildlife, Birds and Nature. Models walked the ramp in silk saris. Senior IPS officer Tejdeep Kaur Menon and actress Poonam Kaur were the showstoppers of the evening. The event also featured photographs clicked by members of the Bird Club. The event also featured photographs clicked by members of the Bird Club. There was more action on the party front when the Saberi Brothers hosted a party at their heritage home at Aziz Bagh in Old City for former Anti-Corruption Bureau director general A K Khan. He was recently appointed as an Adviser to minority welfare. The invitees included Mahmood Ali, Naini Narsimha Reddy, Aamer Javed and Mohd Imran. 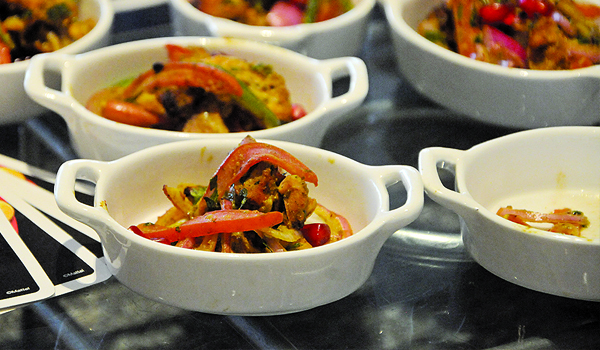 Guests were seen enjoying Hyderabadi food as a musical troupe kept them entertained. The much-awaited Elan, the technical festival of IIT Hyderabad, is back with their eighth edition and this time the theme is ai?? ?Medieval Rampageai??i??. 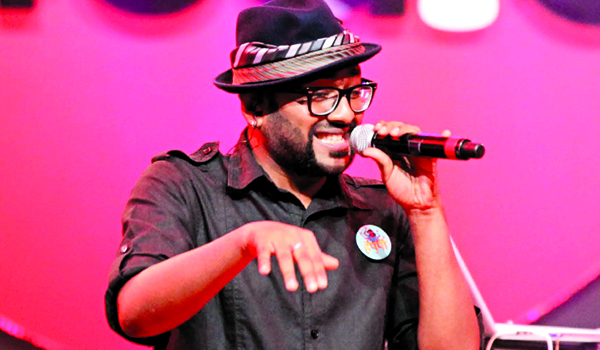 Amidst an entire spectrum of inter-college events, the highlights of this year are the performances by popular playback singer Benny Dayal and DJ Nikhil Chinappa. The festival which ends on Sunday will also host the auditions of Femina Miss India 2017. Entry: Free. Directed by Indo-American director, screenwriter, producer and occasional actor, M Night Shyamalan, Split is a horror-thriller starring James McAvoy, Anya Taylor-Joy, Betty Buckley, Haley Lu Richardson and Jessica Sula in the lead roles. The film revolves around Kevin (McAvoy), who suffers from dissociative identity disorder and has 24 different and powerful personalities. If the world of economics fascinates you, the upcoming Zee Jaipur Literature Festival is the place you would want to be. Bringing global voices and minds together in exciting discussions for its tenth year, the festival will cover a myriad of topics relating to business and economics across five days. Renowned economists such as Ha-Joon Chang, Sanjay Agarwal, Kunal Bahl, Frank Trentmann, David McWilliams, Dambisa Moyo and Sadaf Saaz are among the experts who will take centerstage at the lit fest this year. Seasonal passes at `1,200 per head. The ai???Itai??i? ?s All About Herai??i?? Ladies Night features DJ Piyush Bajaj this week. The DJ, producer and entrepreneur specialises in Hip-Hop, R&B, Reggaeton, Bollywood remixes, Club, UK Bhangra, Electro-house and Progressive Ibiza trance. The drinks for ladies are on the house and the lounge bar lines up an array of interesting Indian, Chinese and Continental snacks and kebabs for the night. The place hosted DJ Spinnin Vibez and DJ Ron-k earlier this month. The Arabian Sea will be the stunning backdrop for the opening show of the LakmAi?? Fashion Week Summer/Resort 2017. Designer Monisha Jaising will showcase her new couture collection atop the international luxury cruise ship, Costa neoClassica, sailing from Mumbai to Maldives. Completing 27 years in the Indian fashion industry, Jaisingai??i? ?s luxurious collection comprises silhouettes, fully embellished party dresses and cocktail saris. The first edition of Sunday Soul Sante will feature over 150 stalls comprising art, craft and design from across the country. Expect eclectic finds like the Sleep Therapy Mist by Gomalon and Handloom Ikats from The French Knot Studio, known for its sustainable Indian textiles, among others. The evening will also feature bands such as Threeory, Neil Braganza and Arunaja. Al Fresco is back with a new set of sizzlers to get you through the winter evenings. Enjoy the aroma of the delicate exotic vegetable crepes, robust smoked and sweet barbequed buffalo tenderloin and end the meal with a classic mud pie. Explore the world on your yoga mat this year as a mix of asanas, sightseeingAi?? and shopping make for a holistic itinerary. While purists might cry foul, yoga is evolving into a practice that is more than mere well-being of the body and soul. With variants trending like hot yoga, paddle-boat yoga and aqua yoga among others, it is time to pack your mat into a backpack as the yogis in the city get smitten by the travel bug. Envision yourself sprawled across the neverending sands of the Negev Desert orAi?? striking a pose on the whiteAi?? beaches of the Andamans or doing a headstand along the banks ofAi?? the holy River Ganges. All thatAi?? and more is promised at theseAi?? upcoming getaway packagesAi?? that boast an eclectic itineraryAi?? comprising myriad activities like scuba diving, souvenir huntingAi?? and exploring ancient citiesai??i?? besides yoga sessions. For a week-long immersion in yoga, music and more, head to the Ezuz Desert Lodge this yearai??i? ?hidden in a dry river mouth, it is one of the strongest desert landscapes in Israel, according to Yotam Agam, co-director of the city-based Surf Festival and the IndieEarth Festival. ai?? ?Negev is a melting pot of culture in a tiny little space, a brilliant mix of people, landscapes and food. Be open-minded, leave the news behind and enjoy the fact that it is so small and that you can achieve so much,ai??? says Yotam, who was born in ai?? ?the desert between Israel and Egyptai??? and has been living in Chennai since 2004. If youai??i? ?re lucky, you might get to taste Yotamai??i? ?s signature dish, shakshouka, along with some local Kadesh Barnea red wine. Besides, you could also go exploring ancient Nabatic cities, attempt Biblical treks or visit the Dead Sea. This package was created by Dogood Yoga, an initiative by Yotam and his partner, Sandra Schultze. Both of them practice yoga around the world, and have led retreats at Negev Desert, France and in the country in the past. Follow their website for early bird offers. Hari Krishnan of the 136.1 Yoga Centre is convinced that yoga by the beach ai?? ?is a whole new experience when the location as pristine and quiet as Krabi.ai??? With plans of heading to Cambodia next, the yoga instructor shares that he picked this destination as it is less crowded and offered a ai???stillnessai??? that was perfect for the morning and evening Hatha yoga sessions. With the rest of the day free for sightseeing and shopping, Hari shares that those who love to hunt for antiques will find interesting buys here. Others who would like some TLC, the itinerary includes herbal Ayurvedic massages, and a dip in the hot Emerald pools. For some added adventure, donai??i? ?t miss the snorkeling, white water rafting and kayaking, besides long city walks, and a visit to the Tiger Cave Temple. Start your day with surya namaskaras on the deck of a swank liner at sunrise with Sarvesh Shashi, founder of the three-year-old Zorba ai??i?? A Rennaissance Studio. And for the next session, you could also jump into one of the swimming pools and try aqua yoga, while enjoying the cruise from Singapore to Penang and back. Sarvesh ai??i?? who has been practicing yoga since the age of six, and also drew attention when his brand got valued at `100 crores ai??i?? has carefully designed this three-nights and four-days cruise yoga package that includes water aerobics, sky diving and rock climbing. ai?? ?Expect a gamut of fitness programmes to refresh your body and mind,ai??? says the 23-year-old, who is constantly initiating new yoga trends in the city, like aerial, paddle-boat and others, and promises that there will also be ample time for a visit to the Universal Studios Singapore. paintings and stone carvings ai??i?? ai?? ?all available at good prices and impeccable quality,ai??? assures Renuka. Their package includes breakfast, welcome drink, fruit basket, afternoon tea, shuttle drop, yoga classes, paddy field/village trek, airport transfer, all meals and two spa treatments. City-based Mansi Gandhi from Rutland Gate Studio, and Bengaluru-based Natasha Mahindra from Anam Cara Retreats, team up to lead the yoga classes at this retreat in Havelock. Besides the yoga, the retreat also offers diving certification, snorkelling, kayaking through the mangroves and nature walks in and around the archipelago of the Andamans. ai?? ?The beautiful beaches offer the best panacea for a stress-filled life,ai??? says Mansi, adding that the view from her yoga mat promises exquisite sunrises, crystal clear water and white sandy beaches. Throw in some remarkable diving sessions in the mix, and this getaway ticks the surreal box. 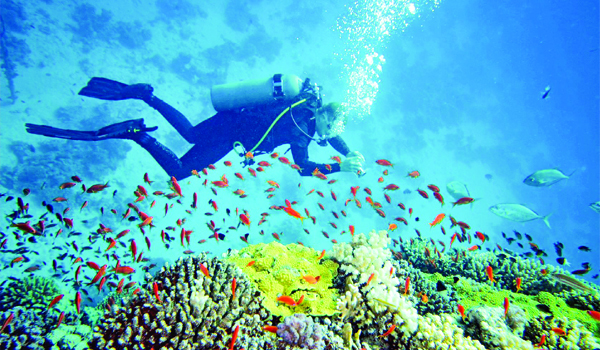 Their package includes open water scuba diving for the adventurous. Go exploring the small hamlets through paddy fields and forests, while enjoying a slice of the local life, sipping on copious amounts of sweet tender coconut water. Expect simple and delicious island cuisine that often features fresh catch from the sea. From the iconic aarti ceremony at the banks of the River Ganges, to enjoying this colourful city that is replete with a rich mythological history and scenic locales ai??i?? 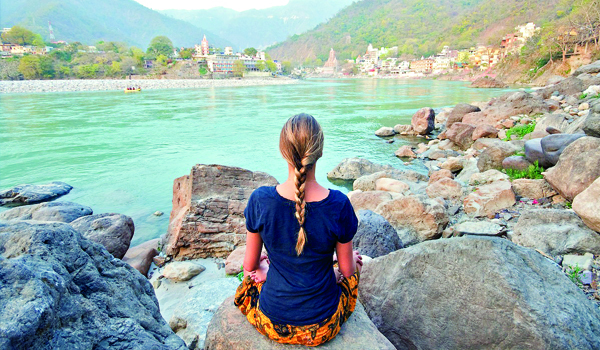 Rishikesh is always a sought-after destination in the country. With your accommodation perched on the banks of the river, the retreat co-ordinator, Shantanu Saha of 136.1 Yoga Studio, tells us the obvious ai??i?? that the experience is breathtaking. Expect interesting shopping at the local craft markets besides the popular street food options and river rafting. Next, travel to the nearby temples and the gorgeous foothills of the Himalayas, before heading off to spend time at The Bihar School of Yoga. In the ancient past, this ashram was the seat of King Karna from the Mahabharata, informs Shantanu. Sprawling landscapes punctuated with cherry blossom trees will be a familiar sight by the end of this month, as Shanthala T Medappa of Rutland Gate puts you in the middle of that pretty picture with her latest yoga getaway. The six-day-five-night retreat to this quaint hilly Thai city promises 24-hour Vipasana Yoga sessions, visit to a 700-year-old Buddhist temple, therapeutic waterfall-side yoga sessions and local shopping getaways. Also bring back some Thai culinary expertise with a three-hour cooking class by the local chefs. Says Shanthala, freelance yoga trainer and retreat leader, ai?? ?The idea is to do what the locals do, be it stay, shopping or cuisine. The itinerary is flexible. You can make your own detours if need be.ai??? If you are a person of the streets, then the food and indigenous crafts and wares at the Sunday Evening Market are something you canai??i? ?t miss. WithAi?? a penchant for lesser frequented scenic spots, Shanthala has plans of heading to Sikkim and Ireland, later this year. Hone your skills in making ceramic products at this upcoming ceramic workshop hosted by DakshinaChitra. Supervised by their in-house ceramist, Potrarasan, the workshop will focus on making decorative wall hangings, and will be held at the Ceramic Centre. January 21, 22 and 28. 10.30 am to 5 pm. Registrations at Rs 3,000 per head. If you are the kind who finds it hard to choose between Indian food and French cuisine, then this oneai??i? ?s just for you. Le Dupleix is hosting a festival titled Cuisine de Pondicherry, featuring fusion French dishes prepared with Indian flavours. Till January 30. 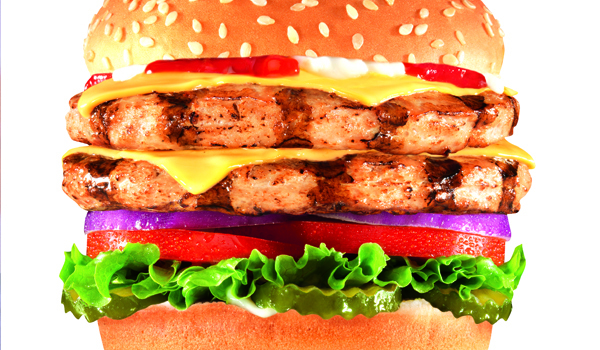 For dinner only.